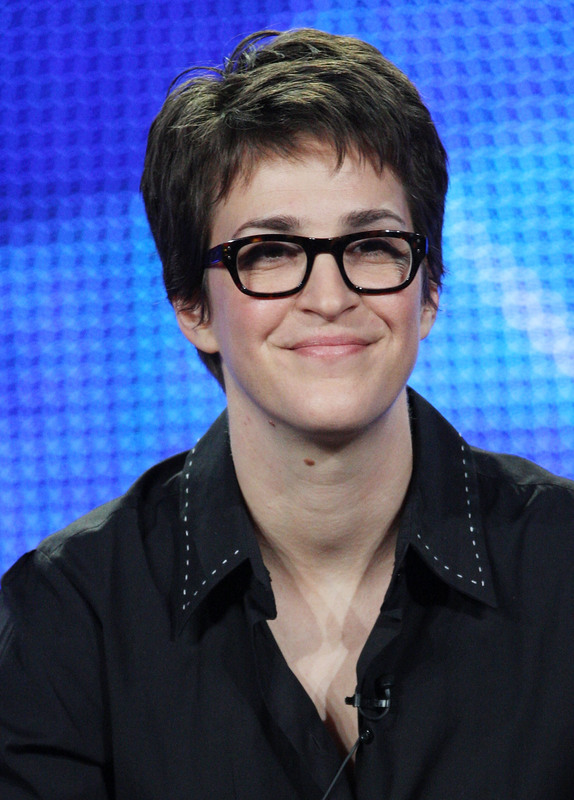 MSNBC's Rachel Maddow is known for asking the tough questions on The Rachel Maddow Show. Hopefully, she'll do the same at Friday evening's Democratic forum, where Maddow will question the three candidates vying for the 2016 Democratic presidential nomination. Maddow's forum, which will be held in South Carolina and streamed on MSNBC, will feature former Secretary of State Hillary Clinton, Vermont Sen. Bernie Sanders, and former Maryland. Gov. Martin O'Malley. The "First in the South Democratic Candidates Forum," which will be held at Winthrop University, isn't an official debate, but it's definitely still one to watch, even if you haven't been following the 2016 election season too closely yet. To get ready for Friday's Democratic forum, here are some of the best quotes Rachel Maddow has delivered over the course of her journalistic career. You can bet that Friday's Democratic forum will be just as lively as Maddow's interviews in the past have been, too. "My guiding principle on these things is I try to ask questions that I can't predict the answer to," Maddow told The Charlotte Observer, so Friday's event is sure to be full of surprises. Maddow told the Observer she wants to get the candidates "off of their talking points, off of their stump speeches, out of their comfort zone." That means we might actually learn more about what the candidates believe, instead of just hearing about how they don't have any weaknesses. War is destructive. The idea that you can do something constructive with war is becoming this facile, dangerous, intellectually lax political interpretation of military counter-insurgency theory. I want to hear him say that doesn’t work. That war is never constructive. I think liberals, even, are drifting toward that. It’s become the new liberal hawkishness and I don’t want him to be a hawk. Maddow wasn't afraid to discuss President Obama's policies with SFGate.com in March 2009. She took a harsh stance about the realities of war, and she also proved that she can criticize both Republican and Democratic policies. Maddow's nuanced explanation about the issues with Fox News, which she delivered on The Rachel Maddow Show in 2009, makes perfect sense. It's definitely a good one to keep in your back pocket for future political discussions with Fox-watching friends and family members. Rachel Maddow's show has always been peppered with zingy one-liners, and we're hoping Friday's Democratic forum will be no different. Maddow may have delivered plenty of criticisms about Republicans over time, but that doesn't mean she won't be tough on the Democratic candidates, too.